It’s unwelcome news for the organisers of the US Open that modern golf’s most iconic player will not be making an appearance in 2014, but it’s a definite boon to the chances of others taking the field at Pinehurst. 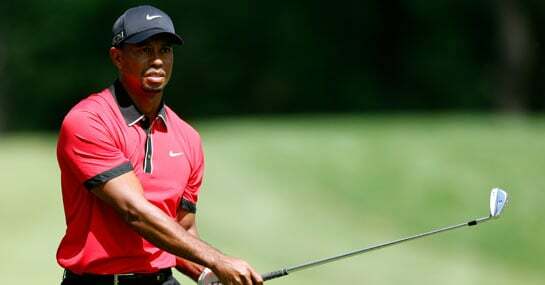 Tiger Woods will miss the US Open in North Carolina which starts on June 12th after the world number three declared he will not have recovered from back surgery in time. This will be the second major of the year Tiger has been forced to withdraw from after the three-time US Open champion was forced out of the Masters back in April. Given his record of 14 Major wins and five PGA Tour victories in 2013, Tiger would have been the undoubted market leader with Ladbrokes, but as it is, Rory McIlroy takes that mantle. McIlroy is the early 8/1 favourite and it’s hardly surprising after the Ulsterman stormed to victory from seven shots back on the last day of the PGA BMW Championship at Wentworth. That win had been months in the making for Rory, who’s progressive form in 2014 sees him nestled in second place in the European Tour standings, taking him over the £1m mark for this season’s prize money already. Naturally, the likes of world number one Adam Scott – who mirrored McIlroy’s achievements stateside by winning the PGA Tour’s Crowne Plaza Invitational – will be right in the mix as the Australian’s 12/1 status suggests. Not to mention the huge selection of Americans vying for the title, led by 16/1-shot Phil Mickelson, though there are a few other Brits with serious claims at Pinehurst too. Not least reigning US Open champ Justin Rose at 25/1, who has recorded three top-10s since tying for 14th at the Masters alongside Welshman Jamie Donaldson, who can’t be ignored at a whopping 100/1. Donaldson is another like McIlroy to have surpassed the £1m European Tour earnings for the season where he sits third in the Race To Dubai standings. Meanwhile, perennial top-10 finisher at Majors, Lee Westwood, will once again be one of the best each-way bets of the tournament at 25s.